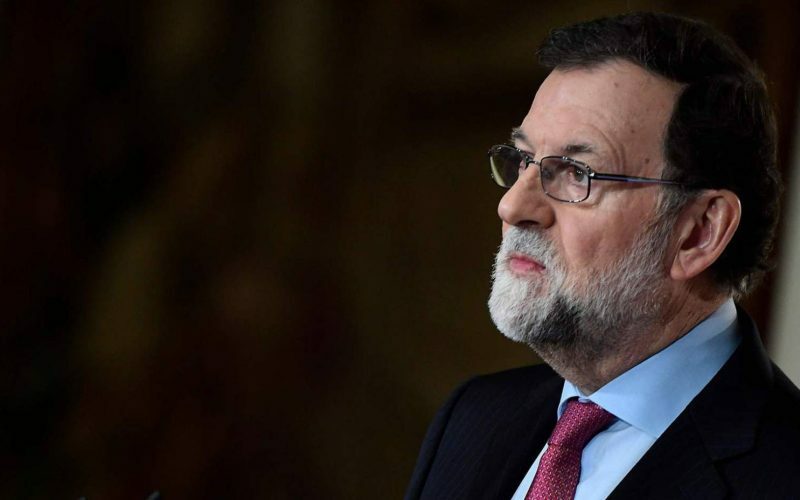 Spanish Prime Minister Mariano Rajoy made a televised statement to the press at 2pm on Friday, in response to the no-confidence motion filed against him by the main opposition Socialist Party (PSOE). The move by party leader Pedro Sánchez came in the wake of a ruling in the wide-ranging Gürtel corruption trial, in which the court fined the PP for benefiting from the scheme, which ran between 1999 and 2006, and sentenced a former treasurer to 33 years in prison. The judgment also found solid evidence of the existence of a party slush fund. On Friday, the prime minister ruled out calling early elections. Rajoy told Ciudadanos leader Albert Rivera, who wants a fresh ballot as soon as possible, that he plans to serve out his full term until 2020. Ciudadanos is currently heading voting intention polls. Queried by reporters about the fact that the Gürtel judgment questioned the credibility of statements Rajoy himself gave the court last year as a witness in the trial, Rajoy responded: “But who hands out certificates of credibility in Spain? The citizens. Who has more credibility than them?” he asked, before pointing out that his party currently enjoys 134 seats in Congress, compared to the 84 of the PSOE. It also emerged on Thursday afternoon that Rajoy had canceled his planned trip to Kiev tomorrow to watch Real Madrid play Liverpool in the Champions League final.